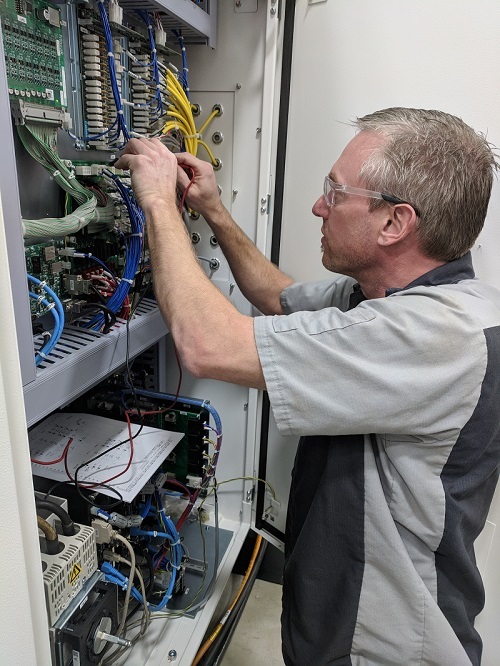 Eric Pedersen is one of our most well rounded Mazak service employees. He has worked in multiple areas of the service department as a field service engineer, field service supervision and now as one of the most unique positions as a minuteman. Not only is Eric incredibly knowledge about Mazak laser-cutting machines, he also has one of the best personalities. You see Eric smiling and laughing 99 percent of the time. 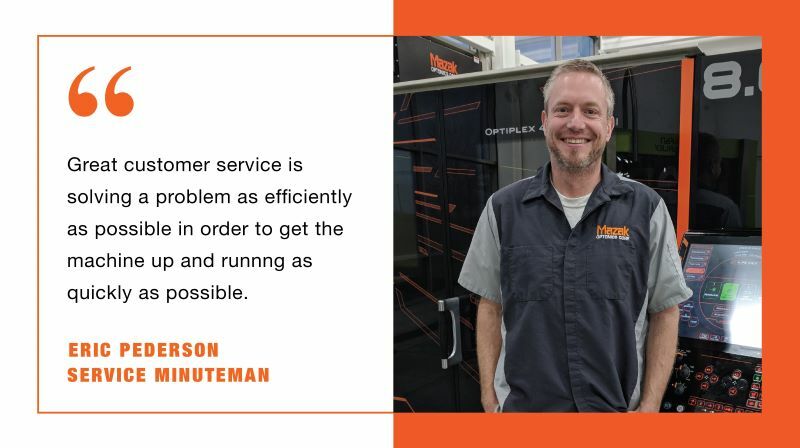 "Eric is an extremely friendly person and a story teller of caliber that is hard to find these days,” explained Mark Dilling, General Manager of Customer Service, “what Eric brings to the Mazak Optonics’ Service Team as the Minuteman is incredible attention to detail and a passion to find any problem's root cause through thoughtful evaluation and careful analysis." To learn more about Eric, continue with our quick Q&A session. “I have been in the fabrication industry for about 18 years, 8 of which have been at Mazak Optonics. I started at AW Whitney on CNC punch plasma machine service. But with the advancements in technology, they introduced their laser. I was picked as one of the technicians who would switch to their laser-cutting machines. “Summer activities are my favorite, not a huge fan of winter sports although every fall, I always look forward to duck hunting. My friends and I have a blind on a local lake. It's not all about killing ducks but also hanging out with your buddies and have some bonding time. During the summer, I enjoy boating and working on my old Camaro. The best days are motorcycle track days. 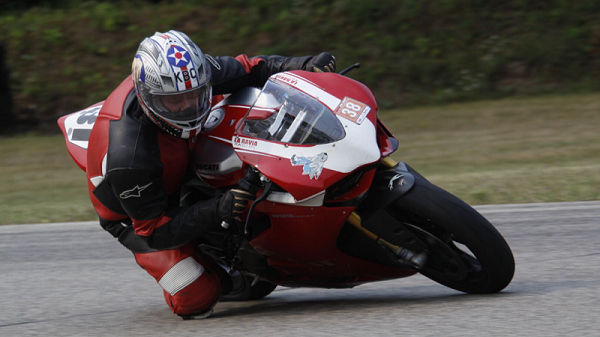 I have been into racing motorcycles since 2010. It has always been one of my passions, because it is an individual experience.I am the only one who can hold me back and I am also the only one who can make the motorcycle go faster. It’s really a mental sport, the focus required is the biggest factor. A day at the race track is both exhilarating and calming. I am also sort of a metal head. I love heavy metal music from Ozzy, Metallica, and Slayer. But I also enjoy classic country like Patsy Cline, Johnny Cash, Dolly Parton and Merle Haggard”. If you could be any person to do something first, what would you do? “I would want to be the first person to walk on Mars. I have always been interested in space ever since I was a kid and I still really enjoy it. I love watching shows on and learning about it; I think it is so fascinating. I also find the technology and equipment that get us into space just mind boggling. Space travel machinery are some of the most powerful creations we have ever built. Most recently, [Tuesday, February 6th] SpaceX just launched their Falcon Heavy into space to orbit a car around the sun about as far out as Mars”.